Rigid_EVO Do I need performance Oil Pump? Which One? 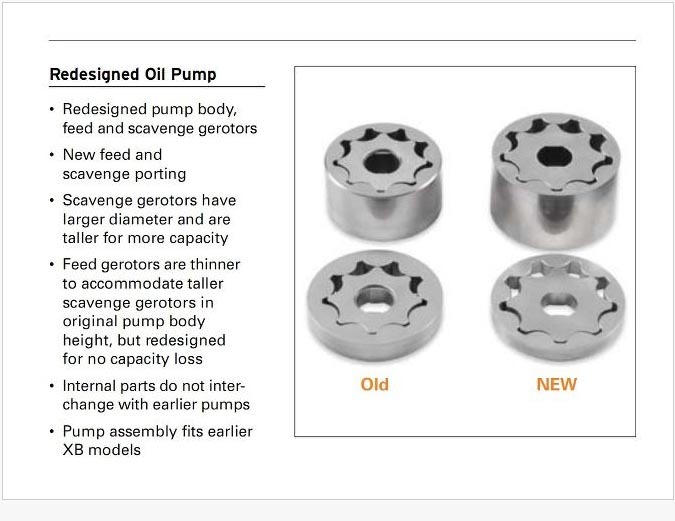 Will 07 and up oil pumps fit a 2000 model year bike? 883 XL Y2K - BLACK,Ported Manifold,HSR 42mm Carb,Branch #5 Ported 883 Heads,Bob Woods W8S 0.590" Cams, SE -0.050" Perfect Fit Pushrods,SE 1200 Ignition Module ,Vance & Hines Straight Shot Exhaust,07 SE Air Cleaner,SE 40,000V Red Perf Coil,883 Jugs Precision Bored for Branch 30º Domed Pistons,& One Big Smile ;o), ~83TQ, ~83HP for now. Yes they bolt right on, just need 2 longer bolts which do come with the pump. Yes, same part number. Google 26204-91A and get it from one of the many online discount dealers. We stock them as well, although we can't discount them. You'll do better through a discount online dealer. The same changes got rolled into the XL pump though. The only difference between the XL and Buell pump is the fittings and the price tag. 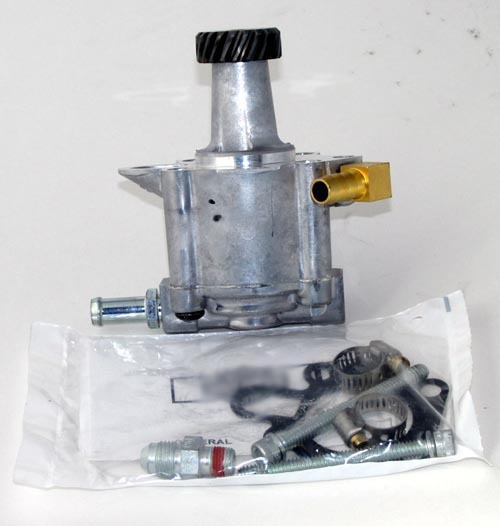 The Buell pump got a new part number in 2007 when this pump came out. The XL pump did not. However, all the previous versions are flushed out of the parts pipeline by now I'm sure. If you order 26204-91A, you'll get the latest pump. Don't know if this has any bearing on your particular issue, but I watched the GoPro video you posted and would be uncomfortable riding in higher gears as often as that. Mine does much better when I downshift and leave it there until it tells me otherwise. What oil filter are you running? just need 2 longer bolts which do come with the pump. The bolt length was actually changed between the '97 and '98 model year. That's when the scavenge section was made bigger the first time, and the pump body had to get longer to accommodate it. Same bolts are used '98 to present. They include bolts with the pump in case you're putting it on a 91-97. I run the s&s hlt2 lifter spacers and set them with just enough movement to quiten the valve train. 20+k miles and no problems. I do not run them for the above reason, although they could help, I use them because of the rpm range that I go into. I'll have to look into that. I'm running fueling lifters at the moment. might try running with thermo couples on the heads to see what temps are actually, do so for cylinders and then oil. heat issues can come from timing, induction/exhaust and a poorly matched up upgrades. since I run mine pretty hard, I run oil cooler with the by-pass removed-in circuit all the time. your year model allows you to use the s&s lifter spacers, I use them because I push the rpm limits, but for you, peace of mind the lifters are not going to collapse.